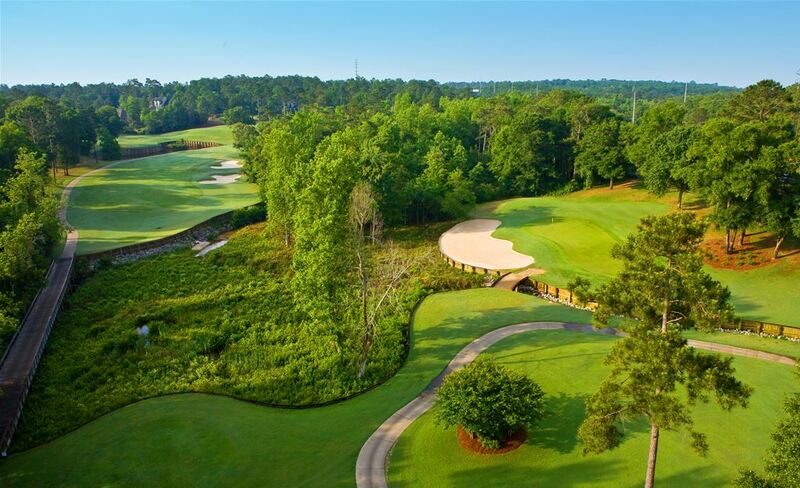 Gulf Shores Golf Community offers some of the finest golf courses available in Alabama. Many of the golf courses in Gulf Shores have been nominated by the Golf Digest for being extremely well kept and for being challenging yet fun for any level of golfer. With courses designed by Jerry Pate, Earl Stone, and Arnold Palmer that range from beachside courses to Scottish style links, Gulf Shores is a must see for every golf enthusiast. Here is an Alabama golf package course run down to help you select the perfect courses for all of your Gulf Shores golf packages! Kiva Dunes Golf Club is the creation of Jim Edgemon and former U.S. open winner Jerry Pate and has been previously ranked as the #1 course in Alabama. 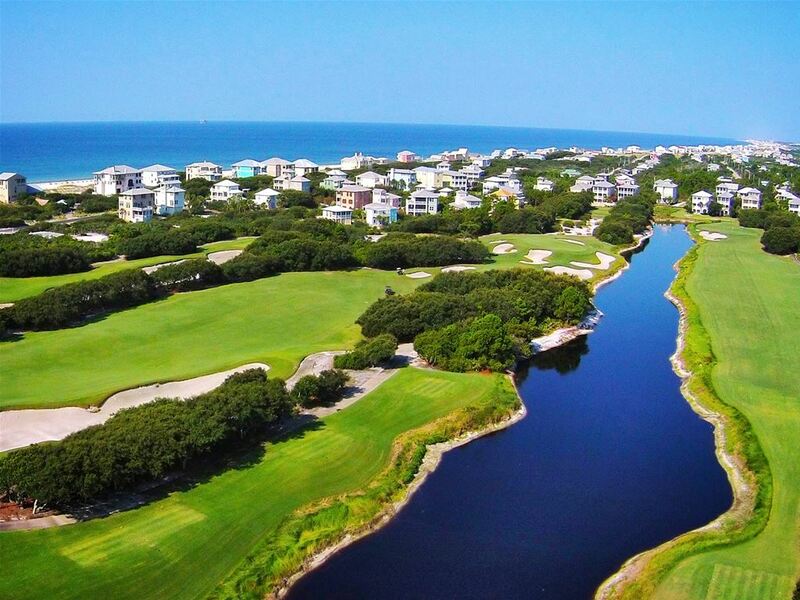 This challenging course has been consistently rated by Golf Digest, Golf Magazine, Links Magazine and many more for being one of the top public courses in the nation making it a must play on your visit to Gulf Shores. 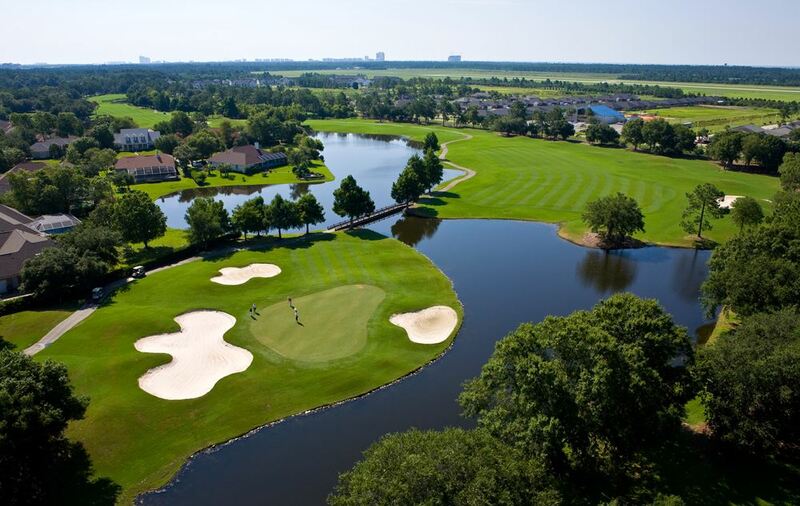 Craft Farms features two courses, Cotton Creek and Cypress Bend, both designed by Arnold Palmer to challenge rather than intimidate the golfer. The Cotton Creek course is the longer of the two that offers rolling hills and large greens while cypress winds through a system of lakes that come into play on almost every hole. Both courses have been praised by Golf Digest with 4 and 4-1/2 star ratings respectively and are consistently rated as one of the best places to play. 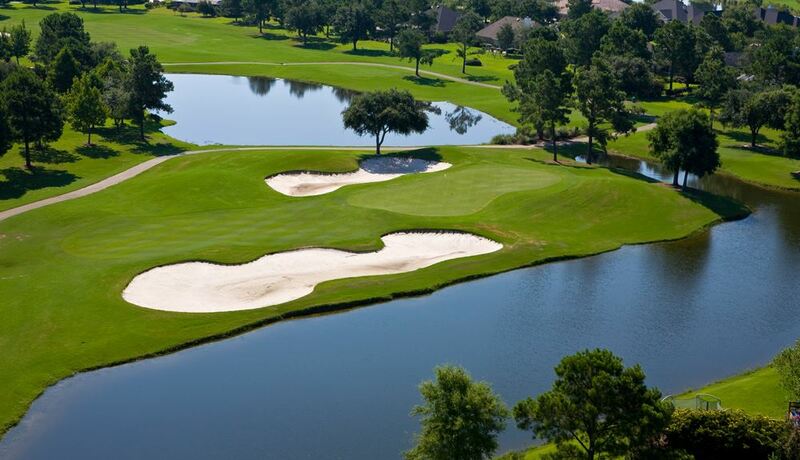 Peninsula Golf & Racquet Club has 27 holes designed by Earl Stone that offer three distinctly different style courses. The course is surrounded by protected nature preserves that provide golfers not only with a pristine view but also with the peace and quiet needed to focus on their game. With large greens and generous landing areas this course is extremely welcoming for players of any level. Rock Creek Golf Course is a championship course that spans over 6,900 yards making it ideal for long hitters. The course offers tree-lined fairways with large landing areas and a variety of large greens. Other local courses: The Golf Club Wharf, Gulf State Park Golf Course, Orange Beach Golf Center, Gulf Links Executive Golf Course, Glenlakes Golf Club - Dunes Course, Glenlakes Golf Club - Lakes Course, Magnolia Springs Golf, Soldiers Creek Golf Club, Lost Key Golf Club, and Perdido Bay Golf Club. As you can see, plenty of quality Alabama golf courses and warm weather for Gulf Shores golf packages! Gulf Shores, Alabama Area In addition to the amazing Golf that Gulf Shores has to offer the area is also home to 32 miles of award winning beaches that have been called the worlds whitest beaches. Due to the popularity of this site for vacationers there are no shortages of extraordinary dining options in the area which is also filled with tourist friendly activities to partake in after your day on the course is complete. The area also contains some of the best deep sea and pier fishing in the country due to the largest man made fishing reef in the USA being right off of the coast! Because of the award winning beaches, tourist-friendly environment, convenient location and wide variety of golf courses, Gulf Shores is an ideal location for a weekend getaway with the guys or family vacations as well. Book your Gulf Shores golf package today! Find Online Rates for Gulf Shores Golf Packages by clicking here. Request a Personalized Gulf Shores Golf Quote from our Golf Consultants by clicking here.